A seeder is a big deal! The seeder gives you all of the potential you will ever have to produce a great crop. 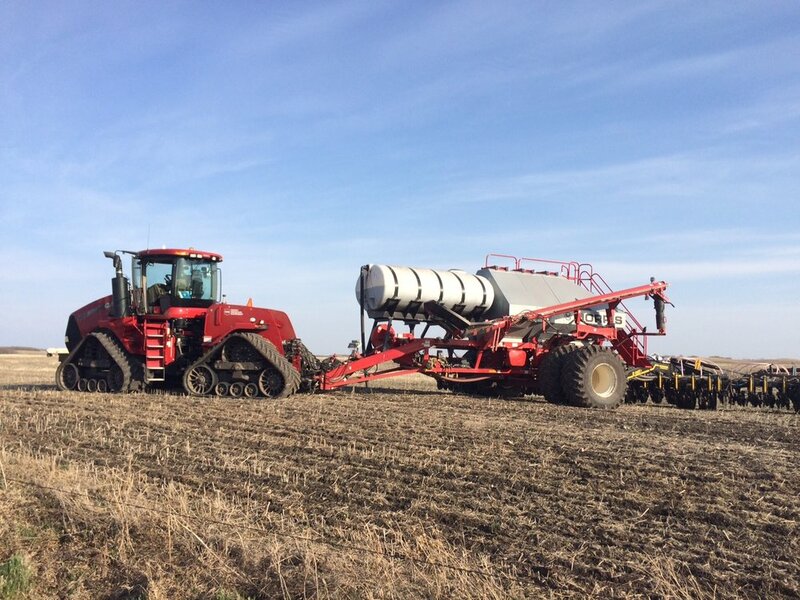 This spring we invested in a new-to-us seeder, which means there is a learning curve as we get the seeding tool set up to work with our tractor and seed cart. Since every farm is unique, our seeder needed some changes to adapt it to our farming practices. For instance, we changed out the granular fertilizer set up to a liquid fertilizer set up. There were also some logistical changes required, like the length of hydraulic hoses necessary to make all of the connections. After about a week of making changes, and then changes to the changes, the completed seeding train has been hooked together and tested. Of course, the true test comes when we pull into our first field and start putting seeds in the ground. To a certain extent, farmers feel that buzz and anticipation every year. However, having a different seeding tool adds another dimension to the anticipation. We know how much is at stake, so we want to be sure that we get things right – the seeder is where it all starts.